Labor’s goal is to increase full-fare paying passenger numbers by 50% over ten years. Currently the Tasmanian Government spends $70 million on bus administration and concessions every year. 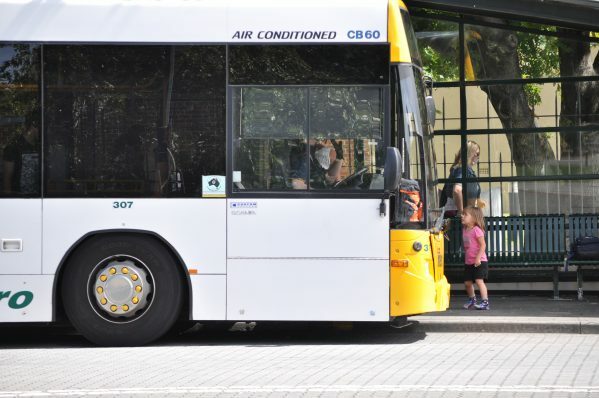 Labor’s strategy to increase full-fare passenger numbers by 50% will generate significant budget savings and place our state-owned transport providers on a sustainable footing. All Aboard, Labor’s long term passenger transport strategy will increase investment in passenger transport and reduce our dependence on the family car by offering commuters fast and efficient passenger transport alternatives. Increasing traffic congestion in our cities and a lack of transport services in our regional towns is frustrating commuters and costing our economy millions. In recent years, exciting new passenger transport concepts – including rapid bus, light rail and ferry services – have been enthusiastically proposed but these projects need substantial new investment to become reality. Labor has consulted with local communities to understand transport needs and worked with transport experts to develop policies that will ease traffic congestion, improve the convenience and appeal of public transport and provide commuters with more options to get to work and school. In our first term in office, an elected Labor Government will create a new Passenger Transport Corporation with state-wide responsibility for integration, co-ordination and contracting of mass transit passenger services. Incorporating the operations and functions of Metro Tasmania and the Passenger Transport Services Unit, this new state-owned corporation, will be chartered to fully integrate the state’s public transport network. The Corporation will modernise the existing “Greencard” ticketing system to enable integrated ‘one-ticket only’ travel on all systems anywhere in Tasmania. Labor will enable local IT companies to develop real-time smart phone and home computer apps so passengers can benefit fully from a new integrated network.We will enhance passenger services by improving the safety and accessibility of bus stops in urban and rural areas. Interchange facilities will be modernised with new real-time bus stop digital displays and improved passenger comfort and amenity. Labor has a vision for a world class passenger train service between central Hobart and the northern suburbs. The Northern Suburbs Passenger Rail and Urban Renewal Project will include re-zoning the rail corridor for medium density housing, park and ride carparks, new commercial, retail and office developments, recreation and education precincts. A Labor Government will test the market for potential operators to run a rail service through a competitive process to facilitate private investment in the project. Labor believes transport to school is an essential community service obligation and will offer rural and urban students free transport. Labor’s commitment is limited to transport to and from a student’s nearest school that is best aligned to family preference. Where a student enrols in a school further from their nearest applicable option – the full concession fare price will apply.